We strive to give our stamped concrete a very natural look that works just as well with a contemporary home as it does a traditional one. You may be familiar with stamped concrete in theme parks, where it’s widely used because it looks very attractive, is very easy to maintain, and has proven to be highly cost-effective. For the same reasons, these surfaces have also become very popular in restaurant and nightclub interiors. Installation is fast, the end product is very durable, and the cost isn’t even comparable to other similar natural stone products. 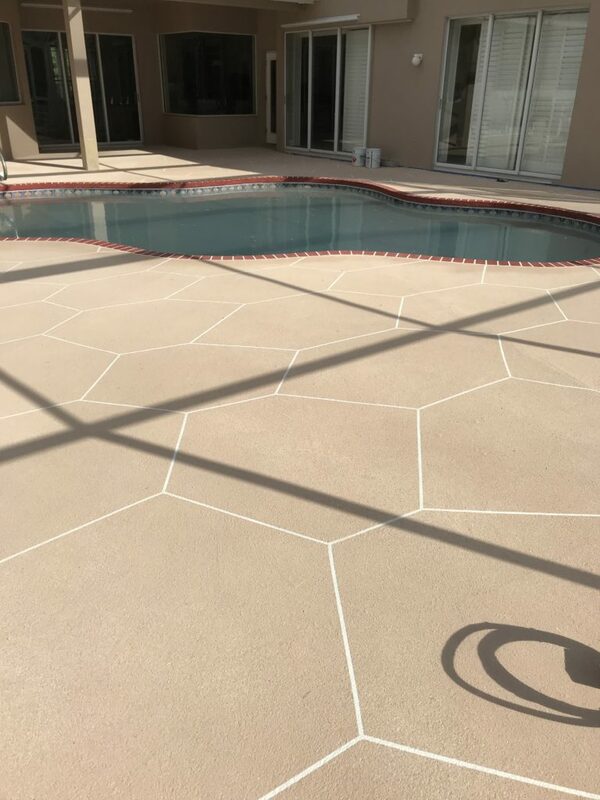 In the residential setting, we regularly stamp concrete on driveways, pool decks, and patios in Pinellas County, FL. Its high strength makes the surface a very low maintenance item that will add to the value of your Pinellas County, FL area home. There are many patterns and colors that are sure to suit your particular style and taste. CTI Designer Concrete Services Areas: Pinellas County, St. Petersburg, Clearwater, Largo, Dunedin, Palm Harbor, Tarpon Springs, New Port Richey, Florida.